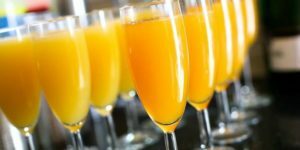 Full brunch menu, $1.50 Mimosas and a free bloody mary bar. Get a team of up to 6 people together and come display your collection of completely useless information. 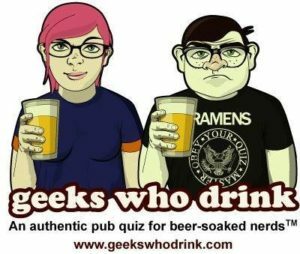 Win money, prizes and geek cred. We have lined up the most awesome weekend of live music to suit the St. Patrick's Day Holiday. Friday, Shanahy is a Celtic music band that employ a double fiddle style. Music starts at 9PM and only $5 cover. Saturday we start super early. At 12PM, the Red Headed Step Twins will start it off followed at 3PM by local favorite Paige McGuinness. The Salt Lake Whalefishers will keep it going with some of your favorite Irish music starting at 4:30. Closing out the night, one of the best Celtic music bands in the state and a regular at Piper Down, Swagger will be closing out the night. St. Patrick's Day is Sunday. At 12PM, the Red Headed Step Twins play followed by Swagger from 3-6pm. Tara Shupe and the Ponies will follow from 6-8. Murphy and the Giant will play out the rest of the night. Heathen Highlanders will bring you some live bagpipe music all weekend long. The festivities starts at noon and go all day! No cover before noon. Only $5 before 5pm, $15 after. Get a wristband at any time for $5 off reentry to the next day.